I know there are teachers (ahem...I mean leprechauns) all over the United States (and beyond?) 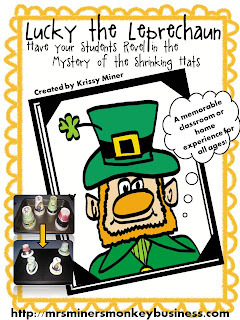 who are preparing to shrink leprechaun hats to bring a little bit of Irish magic and imagination to their students' lives this week. I have gotten some questions in regards to this super fun project and I figured I could just address them here to get the information out more easily! 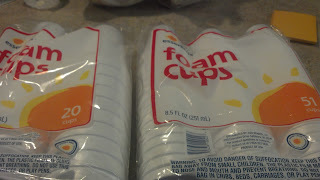 1) Type of styrofoam cup: Your regular basic, SMALL styrofoam cups are indeed the cup of choice. 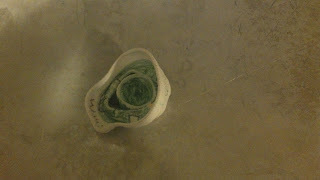 It needs to have the rim, as wells as ribs around the cups. The smooth cups just will not melt as uniformly and hat-like as these. 2)Art media: Honestly, the best thing to use is a variety of colored permanent markers, but crayons and washable markers will work as well. 3) Oven temperature: If it's too hot, the hats will melt too fast and not look like hats. If it's not hot enough, they won't melt much at all. As with cooking, the perfect temperature will vary depending on the oven you are using. My past 2 stoves have worked perfectly at 250 degrees, but my new stove won't even touch them at that temp and I had to increase it to 300 degrees. My suggestion is to practice with some extra cups to find the perfect melting temperature. Otherwise, you just might end of with some very disappointed children after the holiday! 4) Time: My advice is to just watch the hats. There doesn't seem to be an exact time (it changed every time I made them)...but, if you have your oven at the ideal temp, it should be somewhere between 3-5 minutes. Now, some get anxious and nervous and take them out too early before the cups have turned into the "ideal" looking leprechaun hat. The melting process reminds me of Shrinky Dinks, how they curl up before they flatten and look great. Just be patient and keep this in the back of your head as you "bake" your hats. 5)Holes in cups: Have extra cups on hand because if students mistakenly slip through the styrofoam and make a hole, it shrivels up like below. Boo! No child wants a non-hat for this project. You just need to emphasize that the kiddos need to work carefully and report to you if they make a hole so they can start over because "the magic goes right out through the hole!" 6) Dangers of styrofoam fumes: I have done research and come to the conclusion that, no, melting styrofoam is not exactly the healthiest thing to do. However, due to the small amount that you are doing for such a minimal amount of time, there will not be detrimental effects. You don't cook them around your students, so it is your decision if you are willing to take that risk for yourself for your students. Proceed with this project at your own risk (and I think you will be just fine). You can do it on your own or purchase my kit that includes the rhyming legend that tells the children of a long. lost legend about shrunken leprechaun hats, has tags for you to leave for them with their shrunken hats and other activities that will make the day after St. Patrick's Day one to remember for sure! 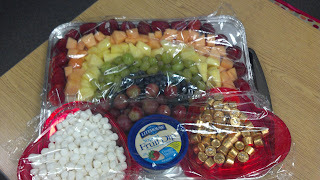 Oh, and one more thing, how many of you have parents that bring in treats like this to your classroom? I have awesome parents this year~ thank you CB, the kids loved it! Thank you for sharing this adorable idea... super easy and I can't wait to hear the squeals of delight from my kiddos tomorrow. THANKS!! Soooo cute! Definitely saving this one for next year! I can't wait to do this with my kiddos. We are going to decorate our cups and leave them out for the Leprechauns tomorrow. FYI....a Rolo candy fits perfectly under the hat...the kids think it's chocolate gold! I'm a mother of two kids i'm looking for new activity for my kids this weekend. I like your Idea. Thank you so much for sharing this one. My kinders decorated their cups yesterday. 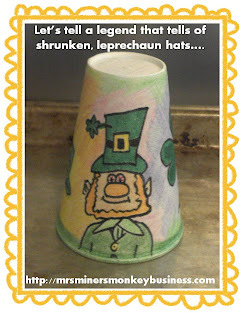 I told them that if a leprechaun comes into our classroom over the weekend, he'll magically transform the cups into Leprechaun hats :) Cooked the cups today--can't wait to see their faces on Monday :) Thank you for sharing this idea!! 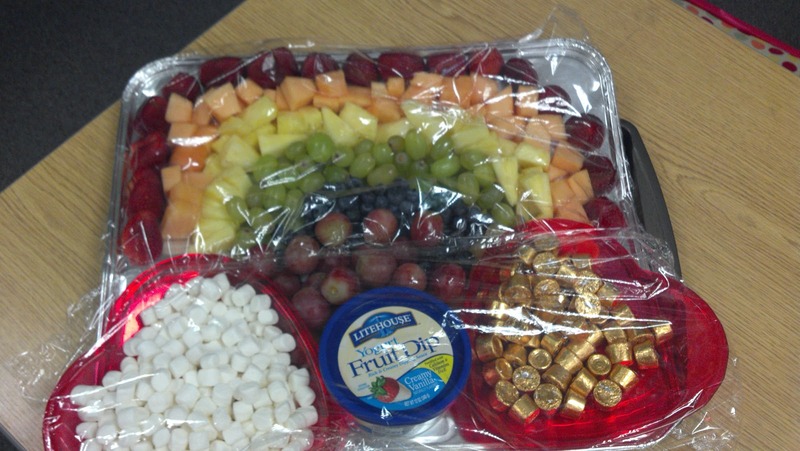 I love this idea, I love the fact that St. Patrick's Day is on a Monday so that I can surprise the kids with this on Monday! Our hats turned out PERFECT!! My oven was like yours and wouldn't melt them at 250 but 300 was just right! Quick and fun!!! Thanks so much for sharing your expertise!! In this site you can find all of Merry Christmas 2017 Greeting ans wishes and photos and GiF which you can share to all of yours friends and family members. 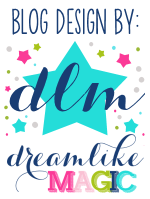 Visit Krissy Miner's profile on Pinterest. Get Ready for a Super Hero Themed 100th Day of School Right Here with freebies}!